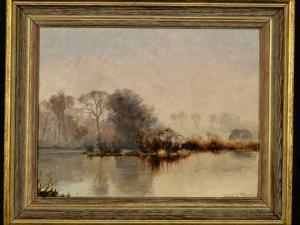 Find artworks, auction results, sale prices and pictures of Alfred Fontville I De Breanski at auctions worldwide. 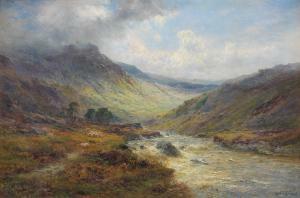 Alfred de Bréanski Snr (British, 1852-1928) 'An Aberdeenshire Valley' signed 'Alfred. 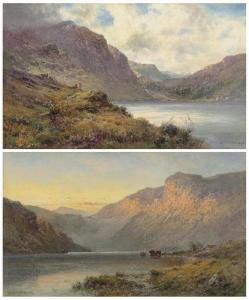 de Bréanski' (lower right); signed and inscribed '"An Aberdeenshire Valley"/Alfred de Bréanski. Senr' (on the reverse) oil on canvas 51 x 76.5cm (20 1/16 x 30 1/8in). Footnotes Provenance Private collection, Ireland. Alfred de Bréanski (Greenwich 1852 - London 1928) Ein Wasserfall des West Lyn-Flusses Öl/Lw., 40,5 x 56 cm, l. u. sign. 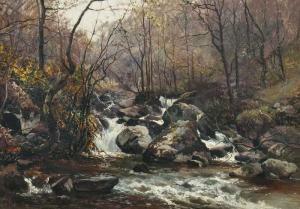 Alfred de Bréanski, verso betitelt 'A Fall on the West Lyn'. - Englischer Landschaftsmaler polnischer Herkunft, der sich auf Landschaften aus Wales, dem Themsegebiet u. dem schottischen Hochland spezialiserte. Seit 1873 stellte er in der Royal Academy aus. Mus. : London, Sheffield, Sydney. Lit. : AKL. Bréanski, Alfred de (Greenwich 1852 - London 1928) A Fall on the West Lyn Oil/canvas, 40,5 x 56 cm, lo. le. sign. Alfred de Bréanski, on the reverse titled. - English landscape painter of Polish origin who specialized in landscapes from Wales, the Thames area a. the Scottish Highlands. 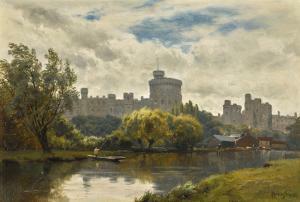 Since 1873 he exhibited at the Royal Academy. Mus. : London, Sheffield, Sydney. Lit. : AKL.